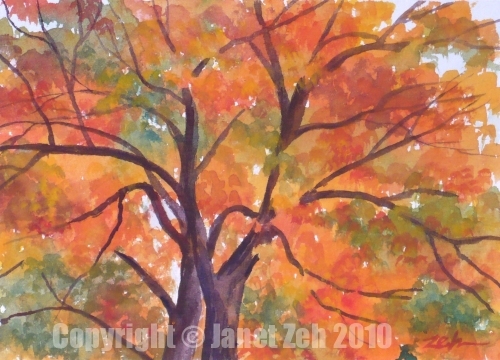 A stately maple stands in magnificent color as October draws near. It's such a pleasure to walk and drive in the countryside at this time of year and even more of a pleasure to paint the fall foliage. In this new watercolor, I used primary colors to suggest the glory of autumn trees in New England.